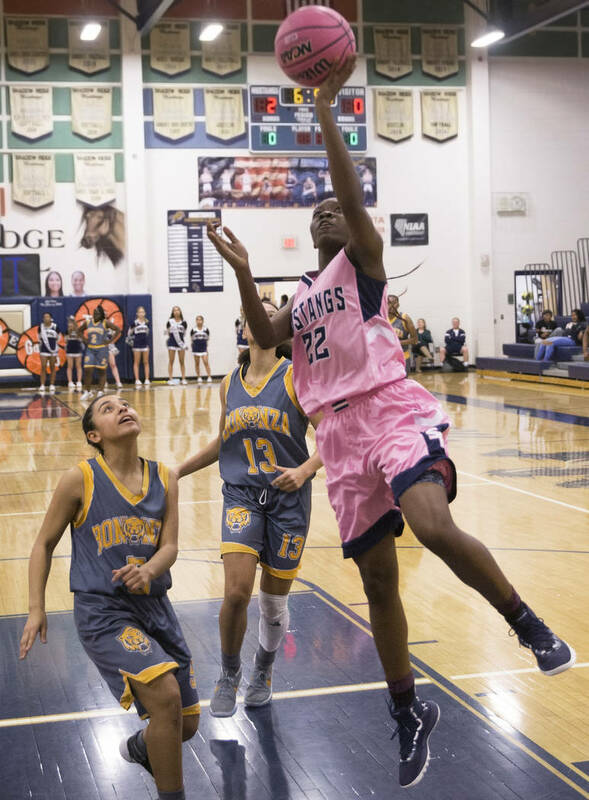 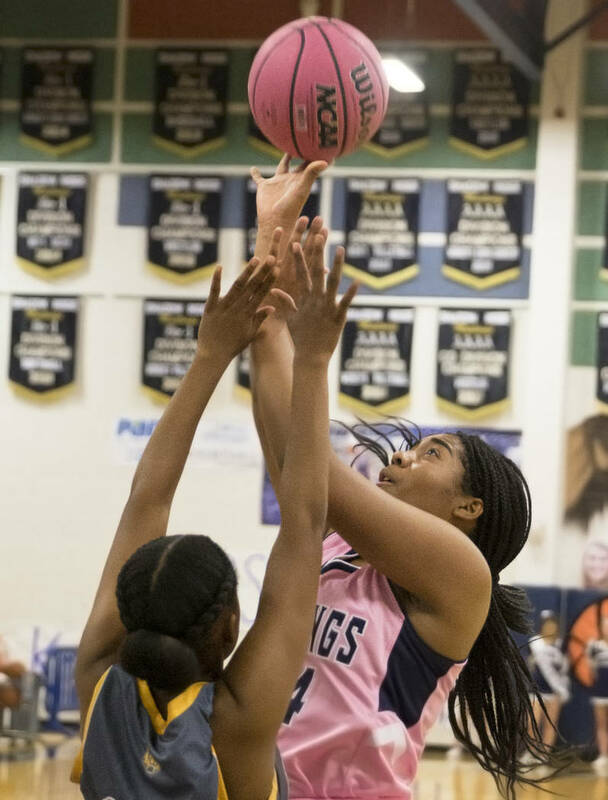 Behind a huge night from senior Vashay Young, Shadow Ridge cruised to a 63-40 home win over Bonanza, setting a school record with its 18th win and securing just the team’s third winning record — and first since 2007-08 — in league games. 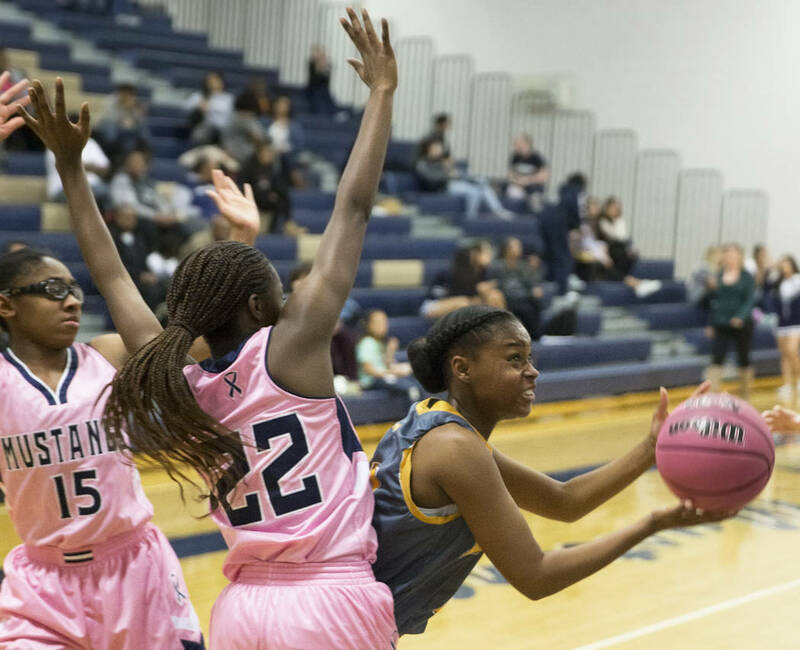 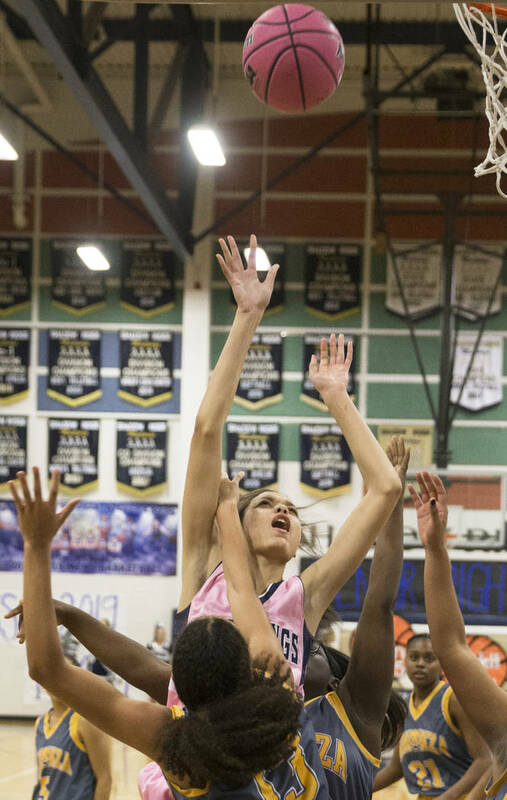 Shadow Ridge’s girls basketball team had never won more than 17 games in a season and only ever had two winning seasons in league play. 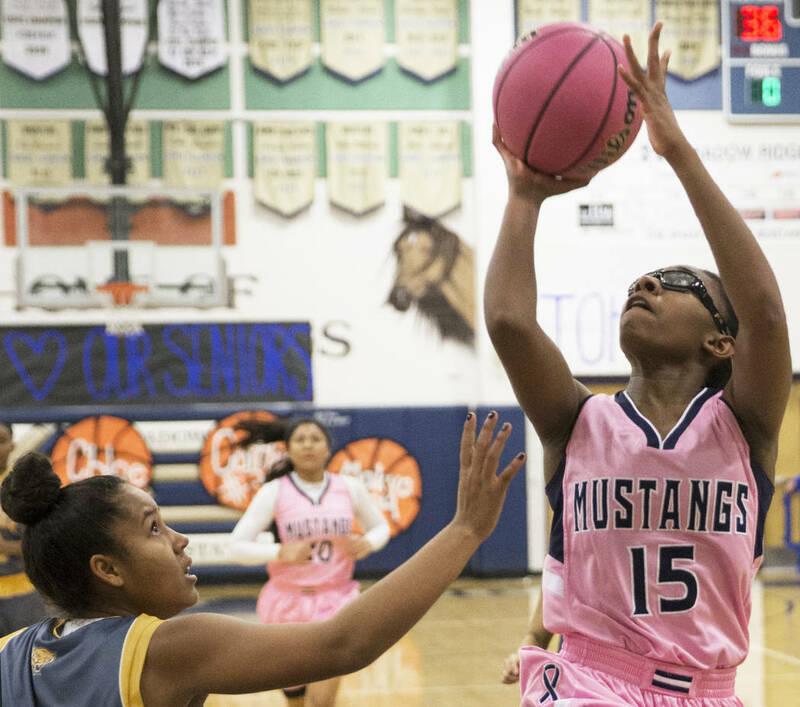 The Mustangs added to both totals Monday. 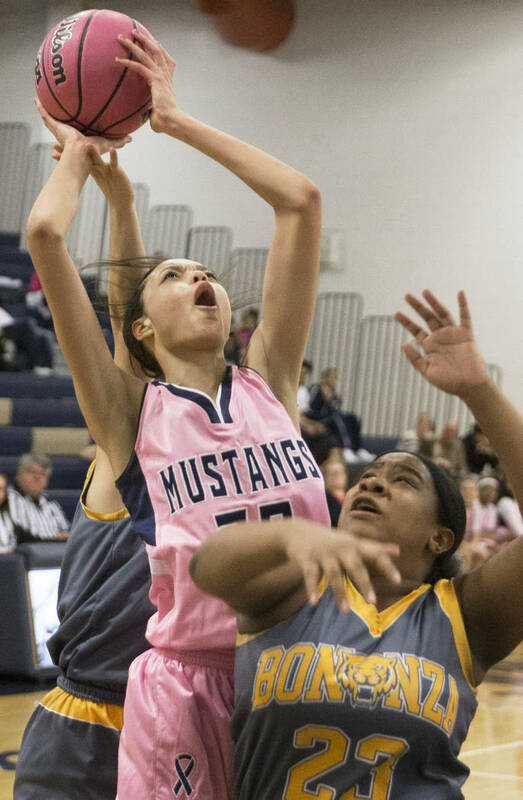 The Mustangs (18-6, 7-5 Northwest) won 17 games in the 2006-07 season but hadn’t come close to that level since. 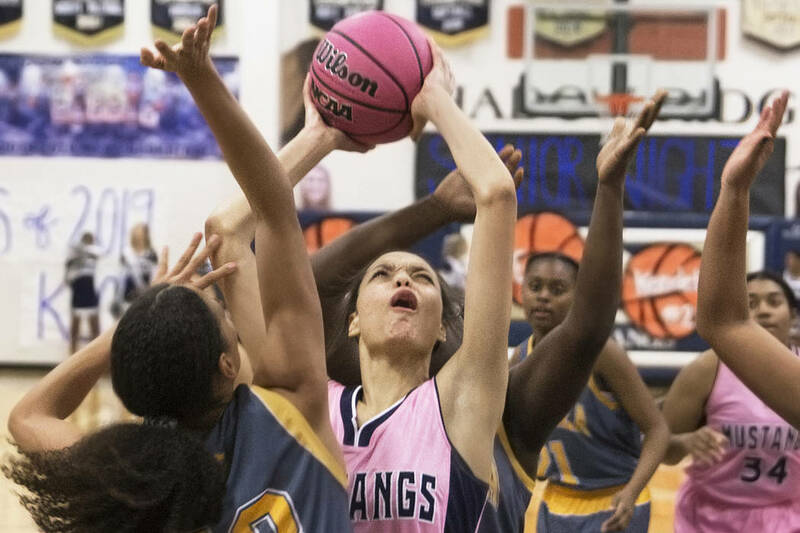 After eight straight losing seasons, Shadow Ridge went 11-9 in 2016-17 before dipping to 4-11 last year. 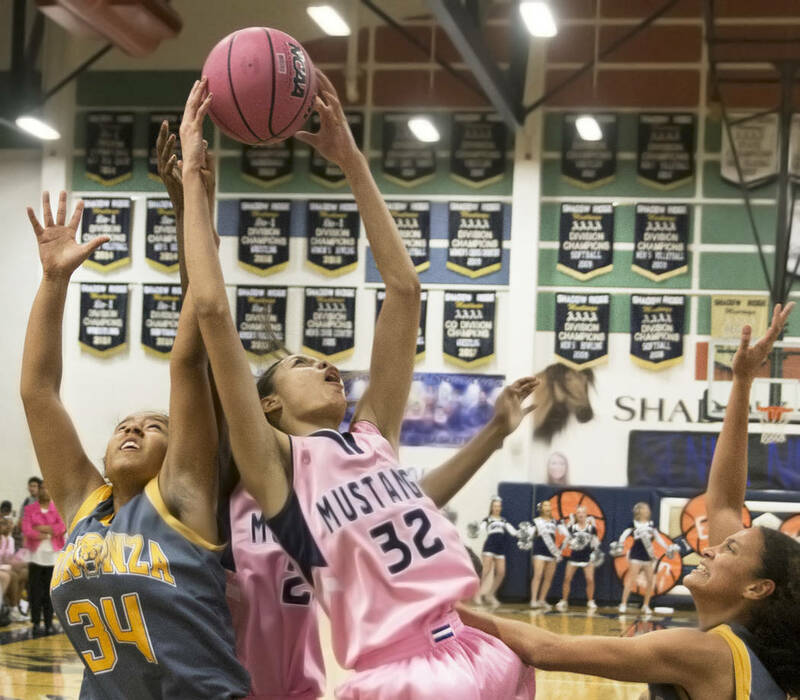 Shadow Ridge wasn’t perfect Monday, starting slowly and finishing with 27 turnovers, but the Mustangs played well defensively. 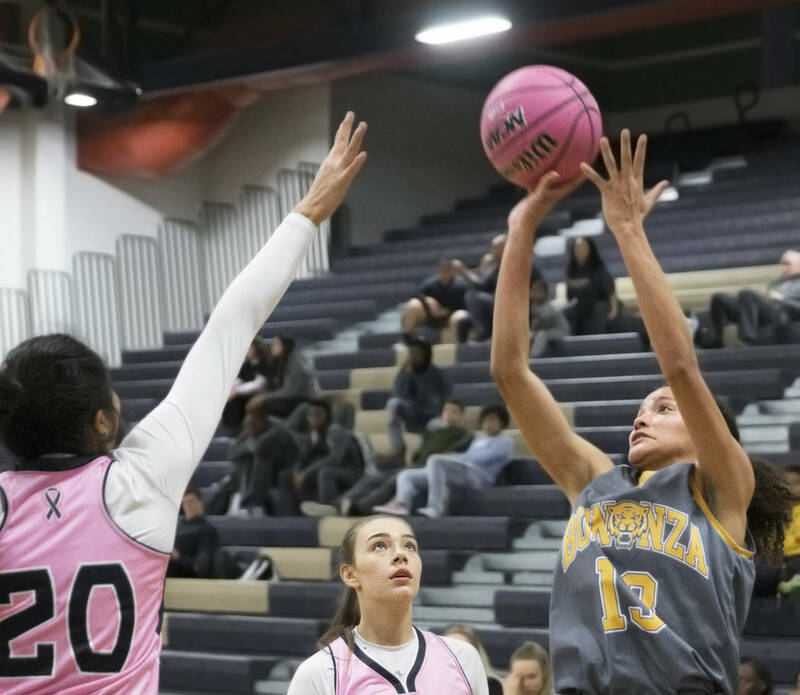 After grabbing a 32-21 halftime lead, Shadow Ridge held Bonanza (10-15, 1-10) to just 1-for-12 shooting in the third quarter, increasing the lead to 45-24 in the process. 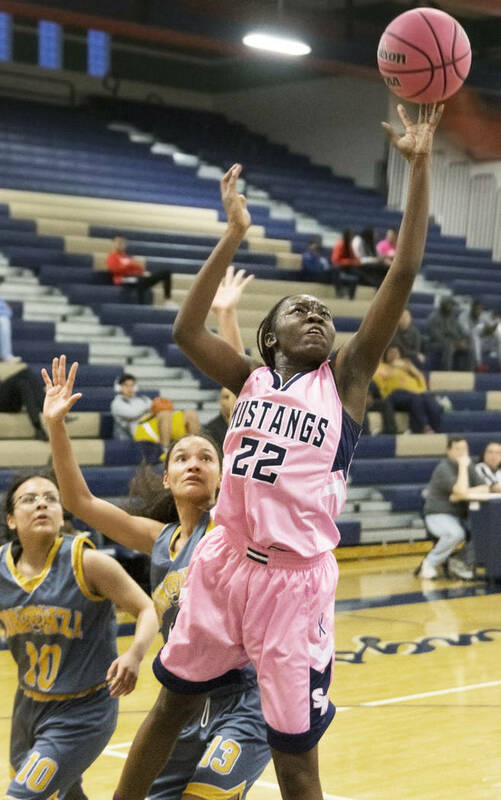 Christina Thames added 12 points for the Mustangs, who have secured the Northwest League’s No. 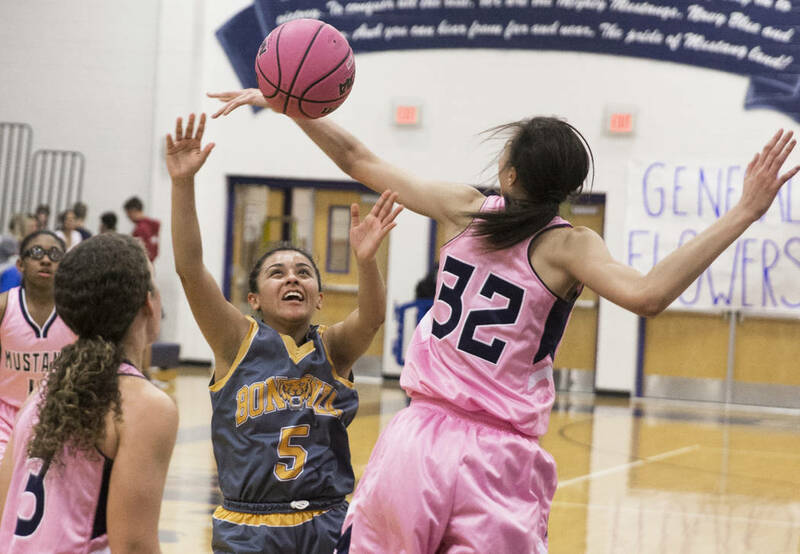 3 seed for the Mountain Region playoffs. 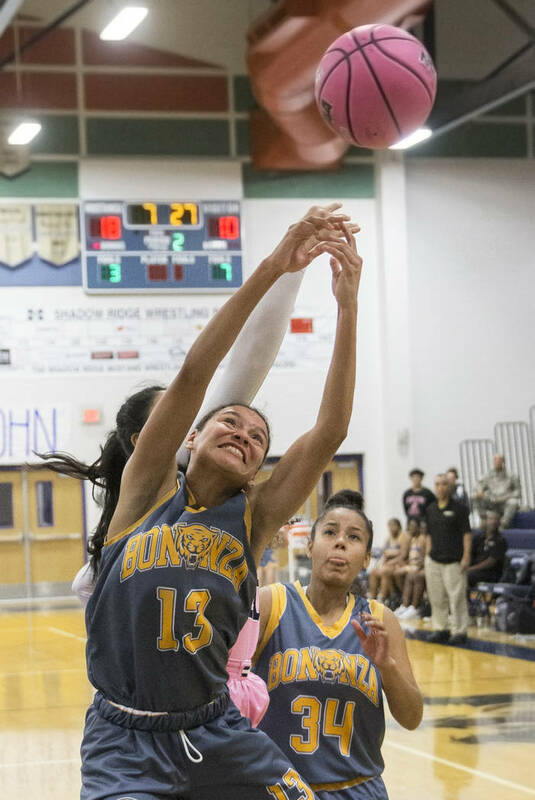 Isaira Diaz led Bonanza with 12 points.